Thank you to our veterans and soldiers for giving the ultimate sacrifice for our freedom. Enjoy your Memorial Day! 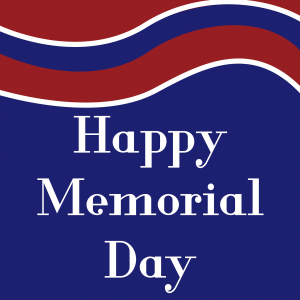 Happy Memorial Day from all of us here at Longmeadow Family Dental Care! Take some time off to enjoy your family and friends, eat delicious food, and honor the brave men and women who have selflessly served and protected our country. As we celebrate the true meaning of this day, may we remember those who made the ultimate sacrifice, as well as the family and friends of those who also sacrifice every day for our country. Thank you to our veterans and soldiers for giving the ultimate sacrifice for our freedom. Enjoy your Memorial Day!